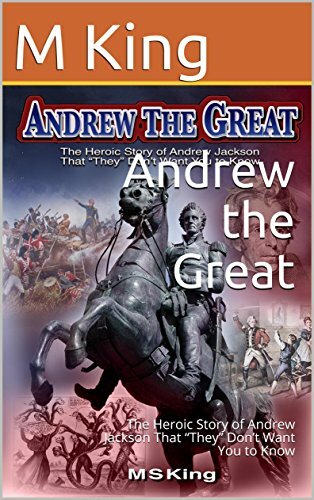 This book, as the title implies, is not a traditional retelling of the life and times of Andrew Jackson. The author is not a historian. He is an investigative journalist with a penchant for uncovering inaccuracies and misconceptions widely accepted by the public. King carefully traces the origins of the American Revolution as an important prelude to how the Republic came to be and the influencers behind its foundation. He names the major players in the Federalist Party like Alexander Hamilton and John Adams as well as the opposing, Democratic-Republicans like Thomas Jefferson and James Madison, who believed in limited government and states’ rights. What do you enjoy most about Winter? Perhaps it is sitting in front of a cozy fire with a book as the snow is falling outside or heading outdoors for skiing or ice skating. Winter offers lots of possibilities for recreation, but it also creates hardships for those attempting to carry out day to day tasks and responsibilities. Most of us know winter weather killed as many or more soldiers in the American Revolutionary War and Civil War as died in battle. Fewer have ever heard of “The Winter War” that took place in 1939-40. In the Fall of 1939 the Soviets demanded that the Finns move back their border 25 kilometers from Leningrad and grant them a 30-year lease on Hanko Peninsula to allow the Soviets to build a naval base there. In return the Soviets offered Finland a worthless piece of land in the Karelian wilderness. When the Finns refused, the Russians massed one million troops on the border. On November 26, the Russians staged a fake shelling of the Russian town of Manila, blaming the Finns and demanding an apology. The ploy was unsuccessful. Four days later, 450,000 Soviet troops crossed the border met by 180,000 Finnish troops. Marshal Carl Gustav Mannerheim marched his troops in formation to a fixed line across the Karelian Isthmus. The Soviets under Marshal Kiril Meretskov did not anticipate much resistance and lack necessary winter supplies. Russian soldiers wearing dark uniforms that stood out against the snow proved to be easy targets. Finnish sniper Corporal Simo Hayha killed more than 500 Soviets using white camouflage and skis. This strategy of “motti” tactics employed fast moving light infantry to encircle and destroy isolated units. Working in four-man teams, the Finns jammed the tracks of Soviet tanks with logs and then used Molotov cocktails to detonate fuel supplies, resulting in the destruction of more than 2000 tanks. As the New Year dawned in January 1940, Colonel Hjalmar Siilasvuo broke up the Russian enemy lines, killing 17,500 Soviets while losing only 250 Finns. Enraged at the defeat, Stalin relieved Meretskov with Timonshenko and beefed up troop units along the Mannerheim line at the beginning of February. The Allied Forces offered Finland 135,000 men if they could cross through Norway and Sweden, but Hitler threatened to invade if they crossed into Sweden. By March 6, Finland was forced to sue for peace. Six days later, the Peace of Moscow Treaty forced Finland to cede the Karelia, a part of Salla, four islands in the Baltic, the Kalastajansaarento Peninsula, and a lease on the Hanko Peninsula. Twelve per cent of Finns lived in these areas. They had to choose whether to become Soviet citizens or relocate. But “Winter War” proved costly for the Soviets. They had lost 126,875 soldiers with twice that number captured. The Finns lost 26,662 soldiers with approximately 40,000 wounded. In the long run, the poor performance of the Soviet troops in the “Winter War” led Hitler to assume Stalin could easily be defeated, a costly strategical error. The Finns, on the other hand, proved a worthy opponent. Later in June,1941, the Finns resumed fighting independently alongside the Allied Forces. No one expected the tiny country of Finland to stand up to the Soviet army, the largest military force in the world at that time. Mother Nature played a decisive role when the winter of 1939 turned out to be one of the coldest winters in the history books. Pictures used under public domain. When January brings us temperatures in the single digits, most of us turn up the thermostat or pop a container of soup into the microwave to whisk away the chill. If we lived four or five hundred years ago, it would not be as easy to snuggle up and keep warm. Winters then were more severe, but people were more acclimated to the cold. At first, European settlers in the New World lived in caves or mud huts dug into the ground. As groups formed they began to fell trees to build log cabins. These usually consisted of one large room with a fireplace for cooking and heating. Candles provided the only source of light. In winter they huddled near the fire for warmth and sat on high-backed chairs to keep the cold drafts from the dirt floor off their necks. Windows were simply openings in the logs covered by oilskin cloth to keep out wind and rain. Before retiring, hot stones that had been placed in a brass container were removed from the fireplace and passed through the cold sheets in an effort to warm them. Indoor plumbing did nor exist, and a trip to the outhouse on a winter night was not a pleasant experience. Water wells were shallow because they were dug by hand; they frequently froze in winter. Stones had to be dropped down into the water bucket to break the ice so they could use it. Travel in winter was limited because many families could not afford a horse or donkey and were required to walk most of the time. The horse drawn sled was the best mode of travel in winter as the ground was usually covered by snow. Even so, there were few roads, hardly any bridges, and travelers had to negotiate many obstacles. Most settlers spent winter indoors. Men could not work the land or perform outdoor maintenance chores. Children were assigned tasks like gathering eggs and tending small animals. The women canned and preserved food and smoked whatever meat they had. They spent time at the spinning wheel with wool that would be spun into cloth. They sewed sheets and clothing for the family. Because they did not have modern heating conveniences, clothing was their most important asset. Early Americans were influenced by fashion and trade with England. The wealthy imported wigs, velvets and brocades, but this was not the case for most colonists. The lower class had to make their clothes from a coarse fabric they called “Lindsey-Wolsey.” “Dress” clothes were those you wore outside the home. To “undress” meant that you would be dressing to stay at home. Kind of like staying home today and wearing sweatpants. But don’t think the clothing was really comfortable. Let’s look at woman’s apparel first. Gowns consisted of a bodice and skirt joined together. Underneath lay a visible underskirt and stomacher, which was a panel pinned in front of the bodice A decorative apron and lace neckerchief finished the outfit. The costume was supported by hoops and stays; undergarments that extended around the midsection. These were made of wood, whalebone or metal! She wore stockings made of cotton, wool, silk or linen held up by garters that were tied like ribbons. Dark leather shoes held together with a buckle adorned her feet. In the home, she wore a cap to keep out dust. When outdoors she wore a wool coat and a hat covering the cap. Mittens were fingerless and elbow length. Perhaps, she would carry a muff in the shape of a tube to keep warm. Men wore durable linen trousers to the ankle or breeches to the knee for special occasions. Linen shirts were usually white and extended from neck to knee. Oversize shirts tucked in britches served as underwear. They wore stockings, garters, and similar shoes to women. Men added a wool waistcoat in winter as well as a three-cornered hat which could be carried under the arm. Babies wore long sleeved gowns with aprons on top to keep out dirt. A biggins hat made of linen or wool was tied around the neck. Toddlers had straps of cloth sewn on the shoulders known as “leading strings” for the adult who was walking them. Sometimes a “pudding”, a padded roll on the forehead, would be worn to protect the child from falls. Around the age of six or seven boys and girls transitioned to adult clothing. Hope you are warm and cozy right now. Think about the early settlers and be grateful for modern conveniences! Canadians have already celebrated Thanksgiving and Americans will be sitting around the table with family and friends soon. How do you like to do your holiday shopping? Many of us prefer to do it in the comfort of our home. Thought I would investigate the history of shopping by mail. Mail order is buying goods or services through a merchant by a remote method and then receiving delivery of these goods from the merchant. A mail order catalog is a listing of goods available from a particular merchant called a cataloger. The catalog is produced in a fashion similar to a magazine and then delivered to customers via the postal service or the internet. In the U.S. The Tiffany Blue Book was the first mail order catalog produced in 1845. A few years later in 1872, an enterprising entrepreneur named Aaron Montgomery Ward of Chicago purchased merchandise and then resold it directly to his customers, cutting out the middleman and slashing his prices. His very first catalog consisted of one 8 x 12 inch page listing his merchandise with ordering instructions. His business continued to grow; in the 1920’s and 1930’s he even sold prefabricated house kits called Ward-way homes. In 1888 Richard Warren Sears started his catalog business in Minnesota. Six years later his catalog had grown to 322 pages including items such as sewing machines, sporting goods, bicycles and automobiles. In 1895 clothing manufacturer Julius Rosenwald partnered with Sears to make the business more efficient and economical. Dolls, refrigerators, stoves, and groceries were added to their inventory. Within a few years time, the Sears catalog became known as a “Consumer’s Bible.” By 1933 the famous “Sears Wish Book” containing toys and Christmas gifts as a separate edition from the regular catalog appeared. Sears did not fail to capitalize on the housing market. As 1940 dawned, Sears had sold 70 to 75,000 house kits; many of these houses are still standing today. Another famous cataloger began in a different way. J.C. Penny opened a retail store first. Later on, in 1963, he launched a mail-order catalog which made their store merchandise available to the public in rural areas in at least eight states. Four years later in 1967, Lester Wunderman coined the term “direct marketing.” Lester invented the toll free 1 800 system as well as customer loyalty programs like, magazine subscription clubs, Columbia Record Club, and the American Express Rewards Program. In the twenty-first century widespread internet access is rapidly becoming the preferred method of shopping by mail. This form of mail order is frequently referred to as online shopping or e commerce. But the only shopping difference lies in the way the product is ordered, which is by computer instead of by phone or a mail order form. Most traditional mail order companies now also sell online through their own website. The high costs of printing and postage is forcing some of the mail order companies to stop printing catalogs and rely solely on online sales. Still there are many customers who prefer browsing through those colorful catalogs before hitting the keyboard. No doubt technology will continue to provide more options for our holiday gift shopping. Just a reminder—procrastinators you only have a few weeks left, get out there and shop till you drop! I wish all my friends a Happy Thanksgiving and holiday shopping season. We are rapidly approaching Halloween. Time for ghosts, goblins and things that go bump in the night. Got me thinking about the history of ghosts so I did some investigating. Let’s take a quick look. Ghosts are usually imagined as disembodied spirits. We visualize them as evanescent (quickly fading) forms. The old English word gast means a “soul, spirit or breath.” The details surrounding the word ghoul are far more ominous. The Arabic word ghul signifies a creature that eats children and corpses snatched from graves. Like ghouls goblins can be mischievous. The word goblin comes from the German word kobold. In traditional folklore a goblin is a grotesque spirit or mischievous elf who can be helpful and sing to young children. On the other hand, it might hide household items, kick people or fly into a rage when hungry. It is difficult to tell whether the earliest records of ghosts were literary stories or actual recordings of observations of spirits. We know that the ninth century Greek poet Homer believed that ghosts were passive harmless beings. The living did not fear them or feel bothered by their presence. Upon death the spirit departed to Hades, the underworld. Priests and oracles visited caves and grottoes to acknowledge their spirits. Over time the Greeks came to believe ghosts were helpful and consoling, but at times they could be threatening if they died prematurely or came to a violent end. The Greek philosopher Plato in the fourth century B.C. warned against prowling near tombs or sepulchers where the apparitions of souls who have not departed pure might be lurking. The first written report of a haunted house is seen in the writings of Pliny the younger in the first century B.C. He wrote to his friend Lucias Sura concerning a villa in Athens that no one would rent because it was haunted by a ghost. In the middle of the night an old man with matted hair and beard shackled by irons and chains moaned never stopped moaning. Even worse, disease and death struck down anyone entering the building after dark. All of this did not deter the penniless philosopher, Athenodorus from leasing the property. On the very first night after moving in, he met and followed the apparition into the garden where it disappeared after pointing to a spot in the ground. The next day Athenodorus related his story to the local authorities who promptly dug up the spot and found the bones of a human skeleton bound in chains. The bones were given a proper burial, the house was given purification rites, and the ghost never reappeared. By the third century A.D. Christianity had spread throughout Greece and Rome. The new religion adopted many popular beliefs especially those concerning ghosts or the afterlife. Early Christian writers like Justin Martyr acknowledged belief in the existence of the soul after death. Still other Christians argued that ghosts existed in spirit form alone. That meant after death all people would be social equals. This was a strong influence on the poor masses. Little has changed over centuries. The question of life after death and ghostly spirits still eludes us. We are intrigued; yet most of us are well satisfied not to venture death as it is the only way to discover its answer! The air in the morning is becoming crisp and cool. Time for back to school, which made me think about how education has changed over the centuries. Plato, who lived from 428-347 B.C., had been a student of Socrates, a philosopher who wandered Athens. Plato changed his mind about becoming a politician after rulers poisoned his teacher. Disillusioned, Plato traveled for more than a decade after his mentor’s death, studying astronomy, geology, geometry, and religion in Egypt and Italy. His best known work, The Republic, written in question and answer format touched on wisdom, justice and courage, specifically how an individual relates to himself and to society as a whole. Plato thought society ought to be structured into three groups: governing class, warriors and workers. An ideal government would have philosophers as rulers. Plato created his Academy on a site connected with a mythological hero, Akademos, around 387 B.C. Situated near the walls of Athens, the area contained a sacred grove of olive trees dedicated to Athena, the goddess of wisdom. Plato’s Academy became the first university in Europe. It offered courses of study in mathematics, biology, political theory and philosophy. Above all it advocated skeptical thinking. Plato believed that absolute truth did not exist. Humans perceive everything through their own subjective senses; the most one could hope for is a high degree of probability. Nevertheless, educated citizens could exert major influences on government, logic and philosophy. Plato remained at the Academy with his students for the rest of his life and his philosophy continued to flourish for almost one thousand years after his death. Things deteriorated when the Emperor Justinian came into power. (481-565 A.D.) Justinian is probably most famous for his rewriting of Roman law, the basis of contemporary civil law. But he was committed to restoring the Byzantine Empire and used force when he felt it necessary. For example, he demanded his subjects convert to his form of Catholicism or face torture and death. Justinian ordered that Plato’s Academy be shut down and its property seized, citing it as a pagan institution. In addition, the emperor insisted on erasing all forms of Hellenism and Greek culture. This meant the elimination of democratic constitutional reforms, dramatic tragedies, the philosophy of human dignity, and the tradition of the Olympic Games. Justinian attacked Western institutions and the concept of humanism, which was at its heart. Following the long dark period and chaos of the Middle Ages, Western Europe again witnessed rebirth in the Renaissance Period during which education flourished and modern universities came into existence. Some thoughts from history as we head back to school this month. How Has the Role of Children Changed? The role of children has changed dramatically over time. Children in the twenty-first century are treated as an important, if not central, part of the family unit. That was not always the case! Circumstance and environment had a lot to do with how children grew up. In the Middle Ages up to one-quarter of infants died before the age of one, mostly due to accidents and diseases. The poorer the family, the less likely medical attention was available. On the other hand, healthy infants were seen as a special gift from God; they were usually named after saints or biblical characters. Babies were often swaddled, which involved strips of linen wrapped around their arms and legs. Parents did this so the limbs would grow straight. The practice had the added benefit of keeping the child out of trouble. Once the child was able to sit up independently, the wrappings would be removed. The mother remained the primary caretaker who fed the baby. If the mother should die, a nurse would be found to feed the baby. Richer families could employ a nurse to provide affection, bathe, sing lullabies, console, and take care of the baby when sick. Some nurses even chewed the meat for the baby before feeding, much like a mother bird. The wealthiest families kept a nurse through early childhood because these women spent much of their time at society events like banquets and court affairs. A glance at art and literature of the period reveals few references to children. It indicates the prevalent attitude toward children. In general, childhood was simply a period of immaturity when a person was not productive enough to do much useful work. When, and if, a child reached adolescence, he might become an asset. The poorer the family, the more work the children performed. Chores might include feeding the livestock and animals, washing dishes, and caring for younger siblings. There was little time for play. Toys were handmade dolls, blocks or tops. Older children told myths and stories learned from their elders; some of these might include heroes like Robin Hood. The younger children played dress up, perhaps becoming princesses or lord of the castle. Little formal education was available. Most parents taught their children by word of mouth. Those who had money brought their children to clergy members who could teach the child to read and write in Latin and their native language. Until the end of the eleventh century, clergy were the educators. Later on as the universities sprang up, wealthier male children might have a lay tutor to teach law or the administrative professions. Boys who were interested in learning a trade would be apprenticed with a trade master like a mason or a blacksmith in the profession. Few women were formally educated. Life for children remained pretty much the same until the twentieth century when technological and medical advances freed the adults from many of the limitations imposed on the family. As societies began to protect the rights of individuals, children began to be seen as important to the future of the family and society and assumed a dignity in their own right. Hot dogs, popcorn and the crack of a bat hitting the baseball is an iconic image associated with summer. Many of us look forward to watching baseball games at the stadium or on TV. Though we are all too familiar with sports scandals today, almost one hundred years ago, the “Black Sox” scandal rocked America. The name “Black Sox” may apply to team owner Charles Comiskey’s refusal to pay for the laundering of players’ uniforms when they got dirty. Eventually, he had their uniforms washed and deducted the cost from each player’s salary. Others insist that the name came about due to the World Series scandal of 1919, which blackened the name of the White Sox baseball team. The 1919 World Series pitted the Cincinnati Reds against the Chicago White Sox. Chicago lost to the Reds, but eight Chicago players were accused of intentionally fixing the results and taking money from gamblers. At the time the Chicago team was divided into factions who rarely spoke to each other when not on the field. Players Eddie Collins, Ray Schalk, and Red Faber were considered strait-laced, clean team members. By September, 1920, rumors of a fix became widespread so a Grand Jury convened to investigate the charges. Eddie Cicotte and “Shoeless” Joe Jackson confessed to their part in the scandal. All together eight players and five gamblers were indicted. Shortly before the formal trial in June, 1921, some key pieces of evidence mysteriously disappeared. Among these were signed confessions of Cicotte and Jackson, who later recanted his involvement. The baseball players were acquitted. Perhaps Comiskey was not such a miser after all. He issued checks of $1500, the difference between the winners and losers share, to the ten players who were not a part of the scandal. This scandal led to major changes in governing the sport of baseball. Kenesaw Mountain Landis was appointed the first Commissioner of Baseball. He placed the names of the eight indicted Sox players (Eddie Cicotte, Oscar Felsch, Arnold Gandil, “Shoeless” Joe Jackson, Fred McMullin, Charles Swede Risberg, George Buck Weaver, Claude “Lefty” Williams) on the ineligible list, banning them from any role in organized baseball. The White Sox team took a nosedive into seventh place. They would not see a pennant race again until 1936. Ironically, the following poem was published in the Philadelphia Bulletin before Game One of the Series on October 2, 1919. After all who wins the flag. Baseball is the cleanest one! Get out there and play or enjoy watching a game of baseball, an iconic summertime pastime! Sharing is caring! If you liked this article please share.